Governments around the world are increasingly investing in the development and use of Artificial Intelligence and other digital technologies to govern. As most modern states spend a significant proportion of their annual budget and gross domestic product on social protection policies, it is not surprising that social protection systems are and will be at the forefront of digital innovation by governments given the political focus on cost-cutting and efficiency in many countries. Welfare bureaucracies are typically the part of the state apparatus with the most regular and extensive interaction with a significant part of the population, meaning that innovation in this area is likely to have a direct impact on the human rights of many. There has been surprisingly little systematic research of the human rights implications of technological change in the area of social protection given the fact that human rights are both relevant and important in the context of social protection systems. This is especially (although not exclusively) the case for those who are poor, vulnerable and subject to discrimination. The United Nations Special Rapporteur on extreme poverty and human rights, Prof. Philip Alston, is preparing a thematic report on these issues to the United Nations General Assembly in the fall of 2019. 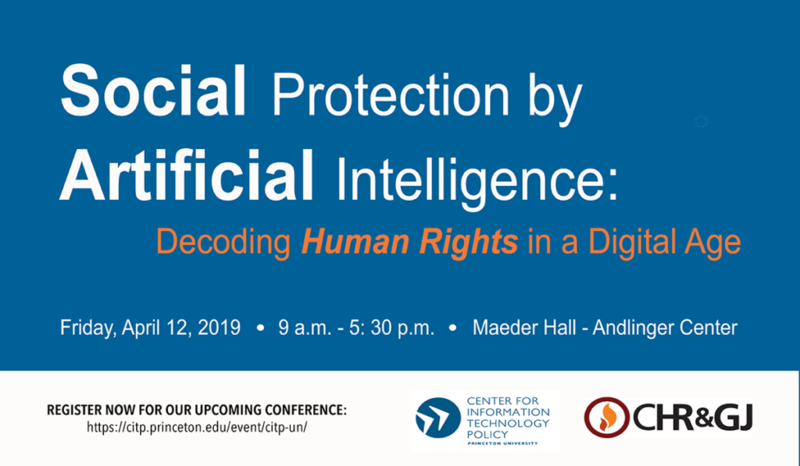 As part of the consultation process for this report, the Special Rapporteur is co-organizing this conference with the Center for Information Technology Policy at Princeton University. Please note, portions of the conference will be livestreamed on Media Central Live.